Sanjeev Balyan has alleged "fake-voting", claiming that faces of "burqa-clad" voters were not being verified by poll agents. 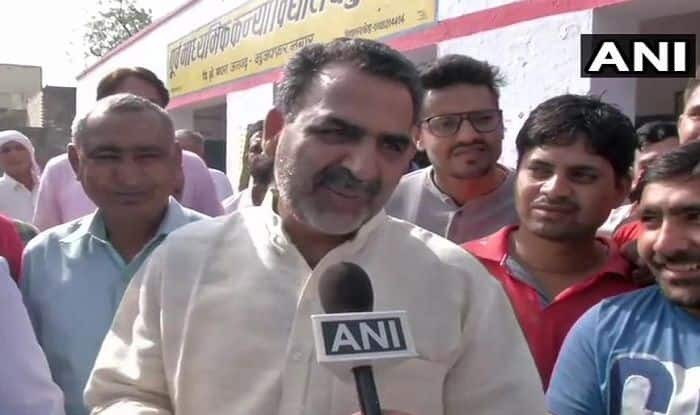 New Delhi: With Lok Sabha Elections 2019 underway, Bharatiya Janata Party (BJP) candidate from Muzaffarnagar, Dr Sanjeev Balyan on Thursday alleged “fake voting” in his parliamentary constituency, claiming that faces of “burqa-clad” voters were not being verified by poll agents. He said that if his concerns are not addressed then, he would demand a “repoll”. “Faces of women in burkhas are not being checked and I allege that fake voting is being done. If not looked into, I will demand a repoll,” Sanjeev Balyan told ANI. The BJP leader is seeking a re-election from Muzaffarnagar seat, where Rashtriya Janata Dal chief Ajit Singh is also contesting. It must be noted that the constituency gained notoriety in the aftermath of the Muzaffarnagar riots in 2013. Muslims constitute the single biggest electorate in the constituency. The Dalit community has the second biggest chunk of voters. Jats, who dominate the landscape of western UP, are also influential in the seat. The voting in 91 parliamentary constituencies spread across 18 states and two UTs, including all in Andhra Pradesh and Telangana, began at 7 AM and continue till 6 PM on Thursday, April 11. The result will be out on May 23.